A Vapid Vixen: Simply Evani is Simply Fantastic! Simply Evani is Simply Fantastic! My postings are sporadic and I often forget to check my e-mail account linked to my blog. Because of this, I’m late to the party. The Christmas in July party. Alyx over at Every Day is a New Adventure, had this cute idea to have Christmas in July. They paired me up with the amazing Evani from Simply Evani. 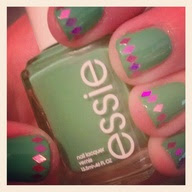 After a proper blog stalking, I found she loves Essie nail polish and the color Teal. She loves to bake and even her cake pops turn out adorably. She's crazy for DIY projects and has this amazing knack for accessorizing and putting together cute outfits. The kind I have to see already put together on a mannequin. She’s sweet, accomplished, feminine and beautiful. We’re practically twins! If one of those twins had been dragged off by a dingo and raised in the bush by Canadian aborigines. You know, those kind of twins. My package arrived at work with an absolutely lovely note. And then I opened the first gift. Then the second. Then another, and another. And that’s when I realized that Evani is a damned cheater!!!! The gift was supposed to have a $20 limit. 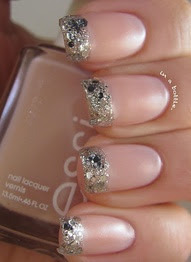 I know for a fact that the Essie polish and MAC lipglass alone is more than that. Look at all this loot! 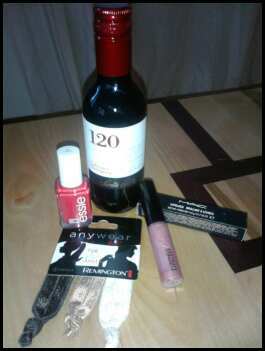 She even sent me WINE! It’s like she’s known me forever. It’s like she’s my long lost twin or something. Check out these wicked photo skills! As if the bottle of wine wasn't enough! Which by the way was Chilean Cabernet Sauvignon that was made to honor the 120 patriots who helped lead Chile to independence. How cool is that? She also sent super cute hair/wrist ties and my favorite brand of makeup. MAC lip glass in Nymphette. Which I've been wearing every day since it arrived. She also sent Essie polish in Ole Caliente. This is a little known fact by anyone who knows me in real life and has seen the recent state of my nails, but I LOVE nail polish and getting my nails done. By someone else. Someone I pay to do it for me. In an overly optimistic attempt to rid myself of debt, I've cut out unnecessary expenses. Like manicures. I recently decided to take on this task myself. After all, how difficult can it really be? I've been cruising around the blogoverse and Pinterest for a while now. I'm jiggy with it. I've got the 411. I'm down! I trolled around for some inspiration thinking I might get a little extra creative. Definitely cute but didn't have the little diamondy shapey things. Awesome, but way too much work. Reality. Check out those meaty paws. You can't even read the label. And THIS is why I pay someone to do it. Evani, thank you so much for the gifts. You were beyond generous and I love all of it. Looking forward to blog stalking you some more, but right now, I've got a Chilean cab to drink. What a cute idea. 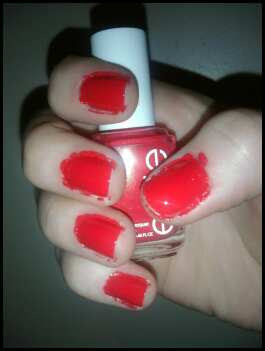 And yeah, I don't get how anyone has steady enough hands to meticulously apply nail polish without it looking like your hands are a Jackson Pollock painting. Beats me. The end result of my nails and his paintings make me equally nauseous. Such cute nails! But I'm sure if I tried to do them my efforts would turn out about as well as yours. Hahahaha, I love the twins thing. And you made out with quite the package! So glad you got a good partner! 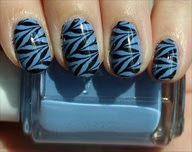 And don't worry, my nails always look like that when I'm done painting. TriGirl- And your comment made me burst out laughing. I had to read it to Erik. Mark- What I wanna know is, do you secretly moonlight as a manicurist? And yeah, she totally spoiled me. Kellie- It's cool. We have other talents. Like being awesome. Alyx- I seriously did. She's great. So glad I'm not alone in my nail art failures. My nails usually look like I tried to paint them during an Earthquake while jumping on a trampoline blindfolded, but you are super bodacious awesome to be getting these amazing gifts! I will gladly send you $6 for a vlog documenting your experience. I slap on nail polish until to chip it off later leaving red specks that look like blood all over my teeth like I ate puppies. Bad typo, had to redo. Excuse previous post. What a fabulous, fun package you got! I love the special Chilean Cabernet. Wine is great on its own, but pair it with an interesting story and all the better! Mrs. Tuna- And that's just one more reason why I like you. Super Earthling- For some reason, it just makes it taste better. Your cartoon self is adorable enough without the enviable nail art. ha-mine would look like that too! Put on some smeared lipstick to match your nails, and then film people's reactions to meeting you. No really, I want to see this. What! I wanted in on this. Presents not on my birthday, and so far from Christmas!! Can we arrange a Christmas in August? Okay let's play the honest game, I got your package before I even got close to finishing yours and I LOVED what you got me. So I wanted to make sure you liked yours. I'm a bit of an overachiever. And the wine was crazy cheap at World Market, I'm obsessed. It wasn't INCREDIBLY far from $20. I was mostly perturbed by how much shipping was, I much rather would have driven it to you!! ABFTS- Holy crap I really want to do this. Lipstick applied Steve Buscemi style in Billy Madison. Nellie- I'll see what I can do. How bout some glucose free Vegemite?